Described by its customers as a hidden gem, The Academy Restaurant is located on Tradewind Square off Duke Street amidst the backdrop of Liverpool’s historic Ropewalks. It offers a mouth-watering selection of both British and European cuisine ranging from contemporary combinations, to traditional favourites displaying a modern twist. 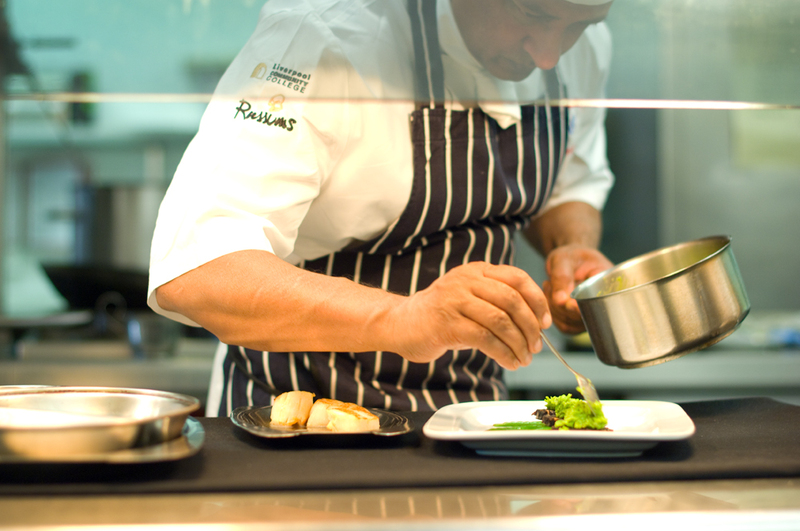 The Academy Restaurant is run by a team of dedicated staff, and highly motivated students developing professional skills ready for employment in the catering and hospitality industry. 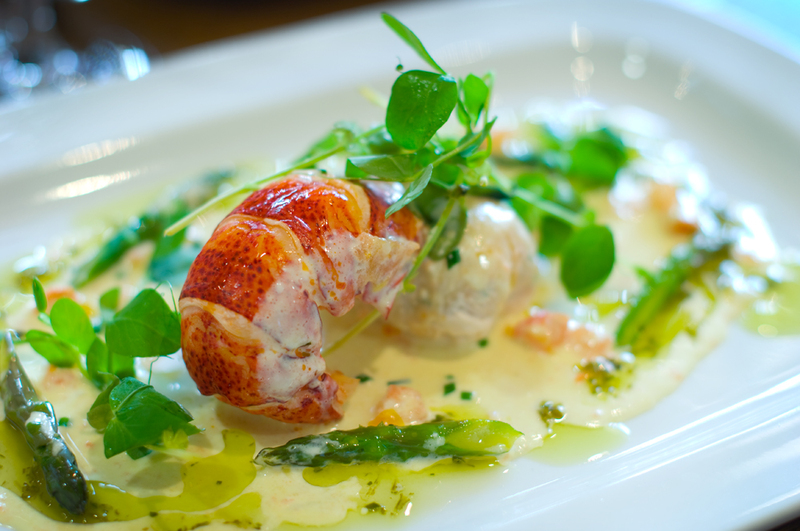 Dishes are expertly prepared using the highest quality, locally sourced ingredients. The Academy is a licensed training restaurant serving a selection of beers, wines and spirits from around the world. The restaurant is open for lunch on Tuesday, Wednesday and Friday 12-2pm (last orders 1.10pm) and Thursday and Friday evenings from 6.00pm for Bistro Dinners (last orders 7.45pm). For table reservations, please call 0151 252 4512. Bookings taken from 12 noon daily. Please Note: The Academy Restaurant is closed on Mondays and operates during term time only. Find out more about upcoming event below. Happy New Year from all at The Academy Restaurant! 10% off your total lunch bill at The Academy Restaurant, Duke Street! 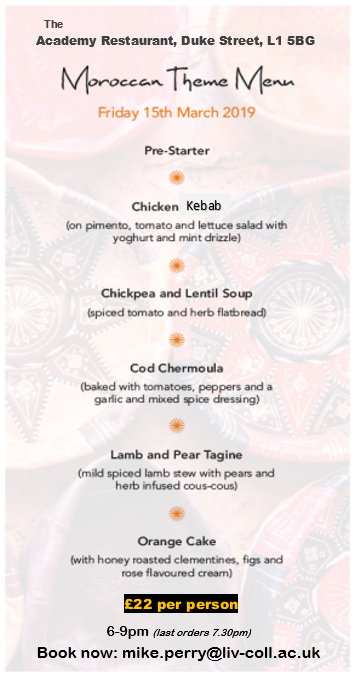 Join us at the Academy Restaurant on Wed 30 January for what promises to be a fab night, with delicious food and first class service… and all for ‘whatever’ the price! (min. £7 per person). 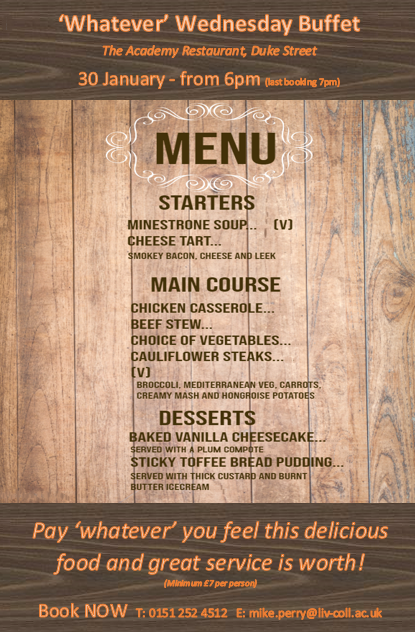 WHATEVER WEDNESDAY offers a selection of delicious, wholesome food, guaranteed to warm you up on a cold winter evening – see menu below.